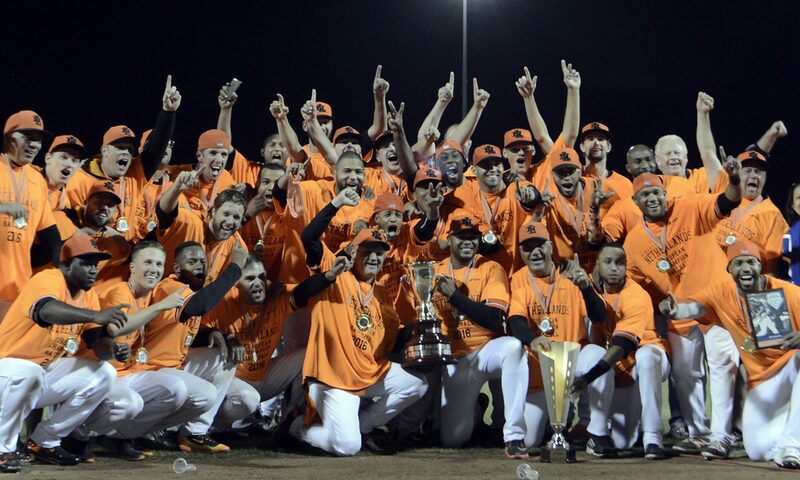 （WBSC　September 19, 2016）　HOOFDDORP, Netherlands – In front of an electric, sold-out crowd of 3,350, Yurendell De Caster singled with the bases loaded in the bottom the 10th to push the Netherlands past Spain, 3-2, Sunday night and capture the CEB European Baseball Championship 2016. 2.16m / 7’1″ tall Loek Van Mil pitched the final two innings for the Netherlands, shutting down Spain with a 154 km/h / 96 mph fastball to earn the win. World No. 10 Netherlands went an undefeated 9-0 in Europe’s pinnacle baseball competition, including an extra-inning 6-5 victory over Europe’s current top-ranked country, No. 9 Italy, en route to defending their European title — Netherlands’ 22nd in history. For world No. 21 Spain (7-2), it was the first time in 61 years that the nation advanced to the championship final, using a no-hitter against No. 20 Germany on Saturday to earn a spot in the Finale. Prior to the start of the Final, there was a moment of silence in honour of the Mexican Baseball Federation president and international baseball leader, Alonso Perez, who recently passed away. With Italy’s third-place finish, the Netherlands is set again to become Europe’s top-ranked nation upon the next update of the WBSC Baseball World Rankings 2016. The Netherlands National Team programme also captured Europe’s U-18 title in July.